“The Noise of Time” by Julian Barnes is a novel about the life of Dimitri Shostakovich. When I was reading it I was interested to be reminded how composers were used by Stalin and the Communist Party in an attempt to control the direction of new music. Stalin applied the notion of “socialist realism” to classical music, which demanded that mediums of art convey the struggle and triumph of the proletariat. Musicians who hoped to gain financial support from the party were obligated to join the Union of Soviet Composers, a division of the Ministry of Culture. New works were then expected to be presented to the Union of Soviet Composers for approval prior to publication and that is how the Party hoped to control the direction of new music. It is fascinating that in the 20th century the power of new music was considered to be so great as to be a threat if it was not controlled by the Party. There was a time when the name of John Manduell would simply have been impossible to escape were you a musician or composer connected to the British music scene. 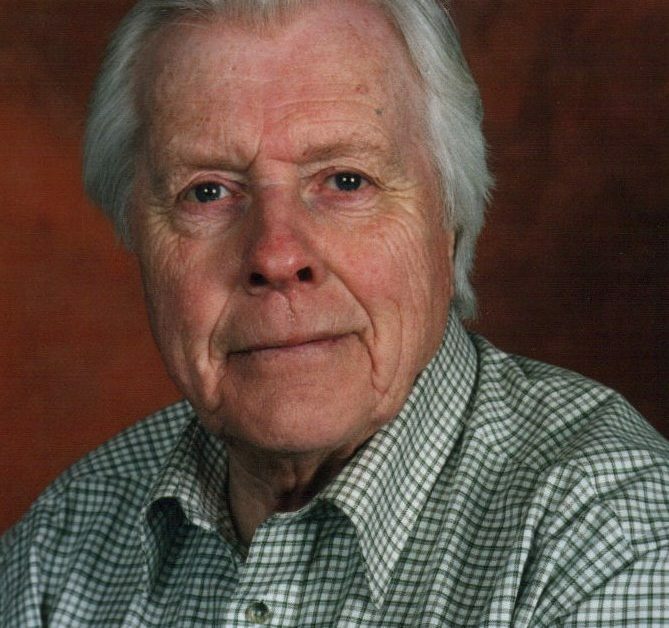 The catalogue of John’s positions of leadership in major musical institutions is unparallelled and the legacy of his influence will continue to be felt and recognised long after his passing. A recent poll carried out by YouGov for the Symphony Hall Birmingham revealed that over 80% of those asked are of the opinion that classical music must change or wither. Among views collected was this observation that the music of contemporary composers does less than nothing to draw in new concert-goers. OK, so since when was a pile of bricks, or half a cow in formaldehyde or an unmade bed not unpretentious and out of tune with Joe public? How about contemporary theatre – that can be shocking or incomprehensible; and who hasn’t described contemporary dance as angular or inelegant. What is the purpose of contemporary art and the role of contemporary artists if it is not to refect, challenge and celebrate contemporary life? Or, do the arts exist only to entertain, provide distraction and blot out the real world? Let’s hear it for classical music! 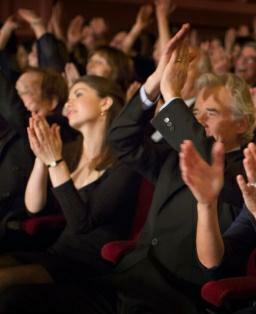 Clapping between movements – good, bad or great? Listening to Prom (the greatest classical music festival in the world) performances this year, it’s noticeable that audiences are clapping between movements. And why not? If you have ever been to an opera in Italy, you will have experienced the adjudication of the performance by the audience at the end of every aria – appreciation or derision! Under the leadership of Roger Wright, the Proms have evolved to provide not only world class performers but also to explore as many musical connections as possible so that new and different audiences have been drawn in. 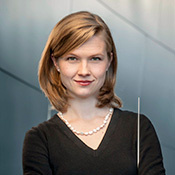 I tuned in part way through a Radio 4 broadcast this morning, featuring the new conductor of the CBSO Mirga Gražinytė-Tyla. A member of the orchestra who was speaking was saying how refreshing it was to speak with a conductor who was not always talking about themselves or their career and interests. Mirga is actually interested in the wellbeing of each person in the orchestra, he said and is far more likely to be discussing what you are doing or how you are feeling than anything else. More concerts, larger audiences, wider outreach and a 5% drop in income – sound familiar?! 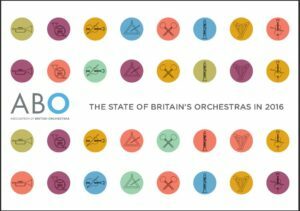 This was in a report commissioned by the Association of British Orchestras showing that orchestras in 2016 “delivered more than 4,000 concerts and reached almost 5 million attendees and 900,000 children and young people amidst a 5% drop in total income”. Orchestras are succeeding in achieving larger audiences and engaging with more young people but it all has a cost which has to be balanced with an 11% drop in funding from local authorities, discounted ticketing, free concerts and fixed fee performances. 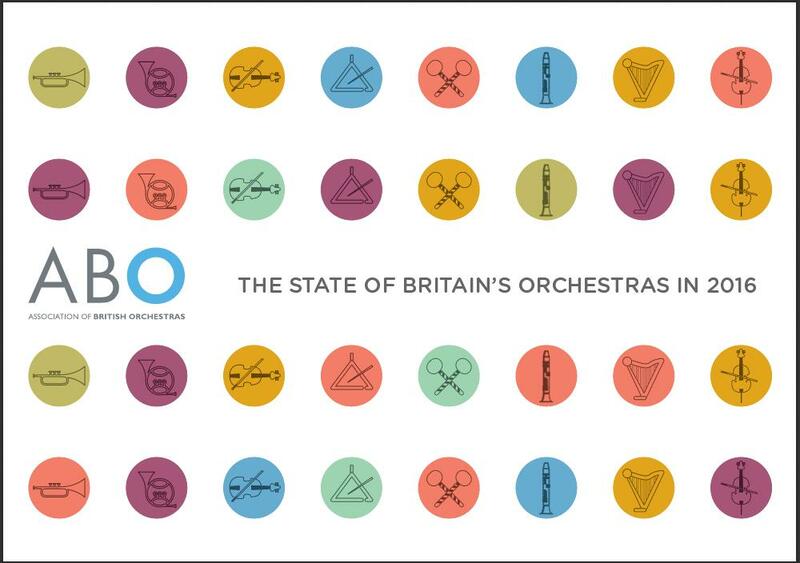 Read the report: The State of Britain’s Orchestras in 2016. Ours is a do it yourself profession. Many professional musicians today try to be experts in everything. Not just their “art” whether that is composing or performing or a combination of both but also in marketing, promotion, website design, videos, photography, concert administration, accountancy. 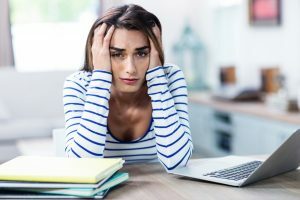 Everywhere we look we are bombarded by “10 things you must do” which will ensure instant success, and it is always a quick fix. But is it? We were visiting our local picture framer in Norfolk recently and really I do him a disservice to call him a picture framer. We first came across him when we bought a work by a wonderful artist, Rachel Lockwood, who lives on the Norfolk coast and has all her framing done by this particular framer. 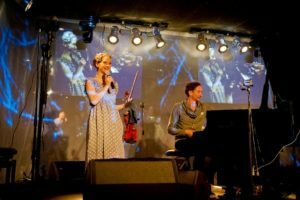 I was reading an article in BBC Music Magazine about classical performers increasingly thinking beyond the traditional concert halls in order for classical music to be heard by new audiences. This thinking is not particularly new of course as musicians have always had to be inventive about how they present and market their music to audiences and has certainly been the case for the 40 years of my professional career. 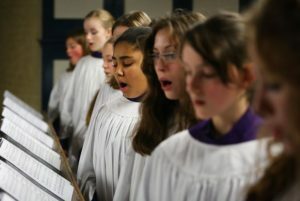 The decision by St Paul’s Cathedral to appoint its first fulltime female chorister, Carris Jones, has led a leading counter-tenor and conductor, Grayston Burgess, to comment, “This ‘politically correct’ decision appears to have been taken without a thought for the musical aspect or its consequence —the next logical step is to appoint another female alto to ‘balance’ the two sides of the choir”. (The Daily Telegraph). The indignation in this I find hard to understand. As a clarinettist my expertise admittedly is in passing an airstream through a wooden tube rather than across vocal cords but the amount of energy that is extended to keep tradition for its own sake continues to confound me. 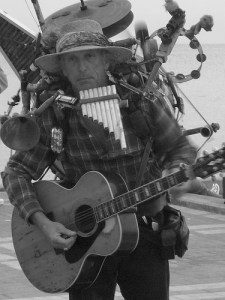 I have known Max for years – well, about 35 years, and, albeit through intermittent contact, that is still time enough to absorb a sense of the man, the musician, the communicator. Too often styled as an ‘enfant terrible’ of the contemporary classical music world, his compositions are, to a large extent, far from the ‘difficult’ that commentators loved carelessly and lazily to use in pejorative description or parlance of avoidance, when in truth it was rather too difficult for them to take the time and trouble of better acquaintance. Max was ever his own person – outwardly mild and congenial, inwardly robust, opinionated, fearless and frank. 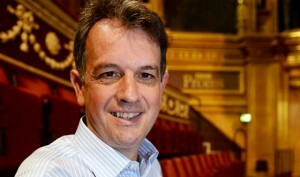 A recent interview about his 10th symphony (think how many composers never got past number 9!) had him putting his work as a composer in the ‘upper end of civilised society’. Who dares, these days, from the world of contemporary music, to make such a claim?! Good on you, Max. “Sometimes you will never know the true value of a moment until it becomes a memory.” Iman Bowie. On Bowie’s birthday, Jan. 8, Iman used Instagram to celebrate her husband’s special day. She shared a variety of different photos of Bowie, many of which were posted by his fans. 10th November saw An Evening of New Music curated by young composers Jay Richardson and Alex Woolf, under the aegis of Young Composers’ Network*. Jay is reading Music at Pembroke College, Cambridge and Alex is in his final year at St John’s College, Cambridge. Both already have impressive CVs which include performances with national orchestras and broadcasts on national radio. Announced this week is Apple’s music streaming service. Apple’s announcement was inevitable, and composers and songwriters have been predicting the dominance of streaming over downloads for years. This could be very good for classical music. Not so much in the sense that classical music will be available in the same way as other genres, just as it is now on spotify, but looking rather more to the long term benefit, in the sense that classical music, with its distinctive characteristics, could become a stronger, legitimate and viable alternative music. I was fascinated by a listing in The Times in the run up to Easter, itemising the musical settings due to be performed at Cathedrals, Royal Chapels, Choral Foundations and London Churches on Easter Day. The compiler, Deborah King, named 88 institutions across the UK, and provided service times and the music to be sung for each. 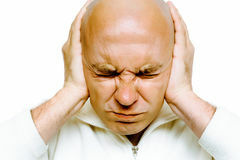 The Beeb, Aunty or just plain BBC has once more been at the heart of hot topics in press and other media. In advance of charter renewal, due in 2016, Parliament has been conducting a review of how well the BBC is doing and has invited contributions from listeners, programme makers and competitors, alike. Although we are now firmly in 2014 and have left the Britten centennial year behind, I didn’t want to head in to the Richard Strauss 150 years, or indeed even the William Lloyd Webber 100 years celebrations without a final reflection on arguably the UK’s greatest and certainly the most influential 20th century composer. I was responding recently to a composer whose beef was that the Establishment (do we still use that term?!) continues to favour musical styles which are dissonant, complex and impenetrable and continues to disregard musical styles which are consonant, discernible and accessible. Summer is here and open-air opera is upon us – Glyndebourne, Garsington and W11 to name but a few, but let me cast back a little – nominations in the ‘Best new opera production’ category for the UK’s Olivier Awards were announced just before Easter this year and it’s interesting to observe that three of the four nominated works were ENO productions. 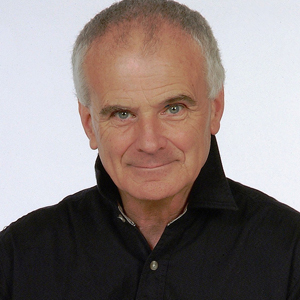 One of the three, Caligula, was by a living composer – Boosey & Hawkes published, German composer, Detlev Glanert. The fourth nomination, also by a living composer, was staged at The Barbican – Philip Glass’s, Einstein on the Beach.